The Adult T-Birds Jacket comes as pictured and is available in Adult Men’s Sizes Small, Standard, or X-Large. 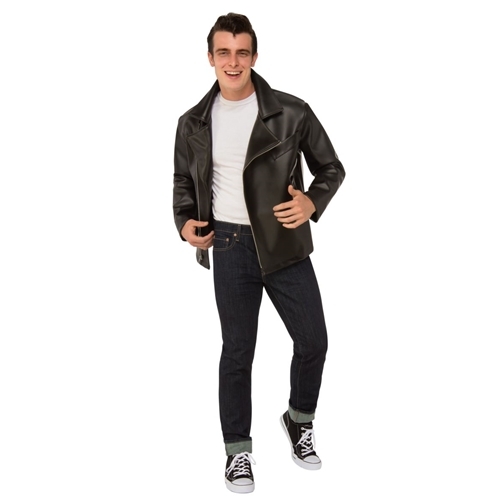 This officially licensed Jacket is perfect for portraying Danny Zuko or the other members of the Rydell High School gang the T-Birds from the movie Grease. Perfect for Halloween or for a 50’s party, this jacket will have you looking stylish in no time. Pair with a switch blade comb, and a Pink Ladies Jacket for your partner, and you’ll be the hottest kids in school!